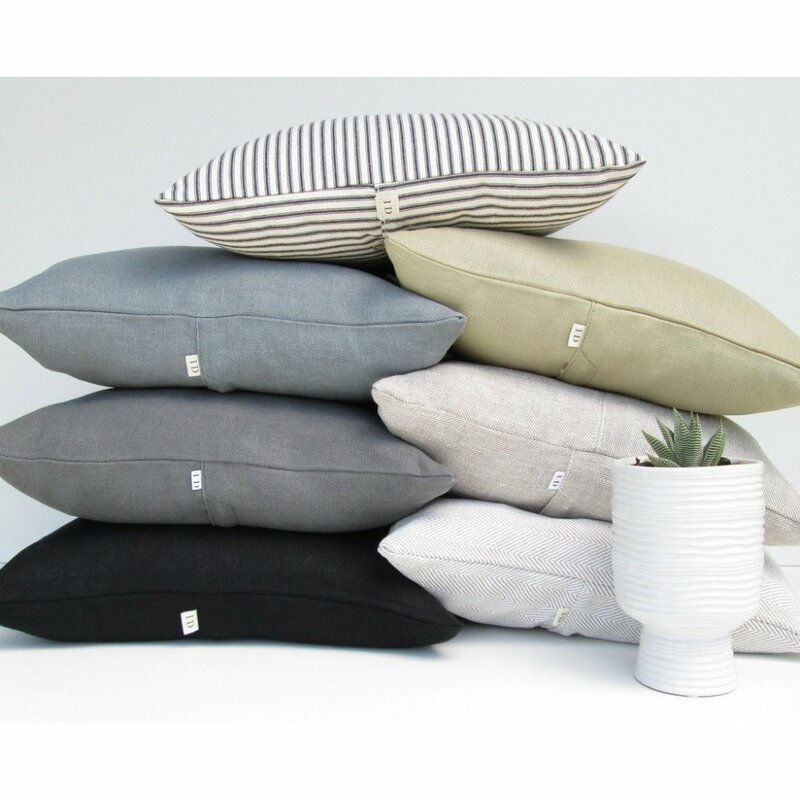 Our Proper Stuff Throw Pillow handmade in Oregon, USA from 9oz Premium European Linen in Natural Flax color (undyed). This heavy linen is elegant, soft, and very durable. which are then "properly stuffed" with quality 20" x 20" cotton+duck feather inserts (included). and the seams are sewn with Tex70 or Tex100 industrial thread to provide last-forever durability. The zippered cover is removable and washable, gentle cycle, line dry, and can be pressed or even starched if you prefer the crisper "new" appearance. Some of our customers endorse ScotchGard for this linen for even greater stain resistance and longevity. Multi-item photos are provided only for color comparison. 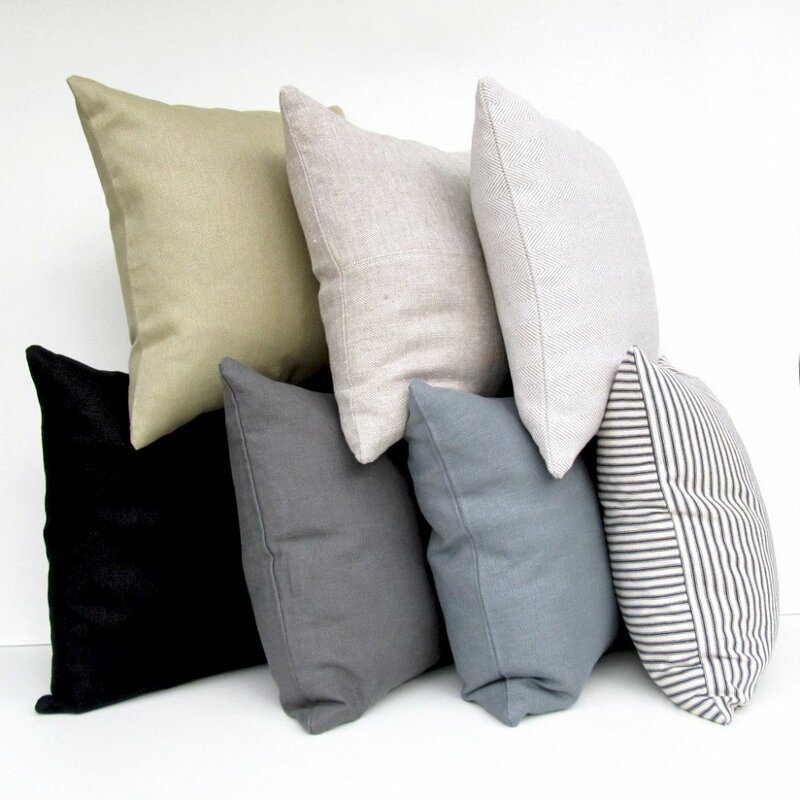 Check the One~Off section of our store for design variations of this pillow in undyed linen.